Croeso! Welcome to Wales Week in New York. Wales Week is a festival held each year in New York around the national holiday of Wales - St David's Day (March 1). The festival is a week-long celebration of the best of Wales: the Arts; culture; food and drink; poetry and literature; business; film; and music. Come celebrate with us. Welsh actress and Academy Award–winner Catherine Zeta-Jones and five-time Tony Award®–winner Angela Lansbury star in the first Broadway revival of Stephen Sondheim and Hugh Wheeler’s Tony Award–winning masterpiece A LITTLE NIGHT MUSIC, directed by Tony Award®-winner Trevor Nunn. Based on Ingmar Bergman’s film, Smiles of a Summer Night, A LITTLE NIGHT MUSIC is a witty and urbane musical set in waltz time. The action takes place in a weekend country house in turn-of-the-century Sweden, where surprising liaisons, long-simmering passions and a taste of love’s endless possibilities are all brought to light. An exhibition of some rare Dylan Thomas manuscripts and other artefacts at the Morgan Library and Museum, New York, including autographed letters from Dylan to Miss Ellen Kay; an autographed manuscript containing four drafts of an untitled poem beginning “Too proud to die, broken and blind he died” donated by Ruthven Todd; and photographs of both Dylan and Dylan and Caitlin taken by Vernon Watkins shortly after their marriage. Admission to the McKim rooms is without charge during the following times: Tuesday, 3 p.m. to 5 p.m.; Friday, 7 p.m. to 9 p.m.; Sunday, 4 p.m to 6 p.m.
Evening: a reception in honor of Welsh composer Karl Jenkins will be hosted by the British Consul-General Sir Alan Collins at his residence in New York. A musical tribute to the composer will be made by Only Men Aloud! This is a private event for members of the music industry in New York. Performance from Only Men Aloud! 3.00 pm It’s Alec Templeton Time! with Dr.Rhian Davies of the Gregynog Festival and pianist Simon Crawford-Phillips at The New York Public Library for the Performing Arts. Born in Cardiff, Wales, on July 4, 1909, the blind composer-pianist Alec Templeton was brought to America by the bandleader Jack Hylton in the mid-1930s. Templeton soon had his own weekly radio show ‘Alec Templeton Time’ sponsored by Alka-Seltzer and relayed coast to coast on the NBC Red Network. Templeton toured widely in America and crossed over to television and film, earning a personal star on the Hollywood Walk of Fame. This show combines archive film footage, broadcasts, and recordings with live performances from Simon Crawford-Phillips of Templeton’s classical, jazz and blues compositions. Free entry. No reservations required. Seating will be on a first-come-first-served basis so please arrive early to avoid disappointment. 9.30 – 11.30 am: Dylan Thomas Walking Tour of Greenwich Village: a literary odyssey researched and composed by Aeronwy Thomas, daughter of Dylan; and Peter Thabit Jones, Welsh poet, and Dylan Thomas scholar.A unique two-hour guided tour of ten places in Greenwich Village associated with the Welsh poet and author Dylan Thomas who visited New York four times and died in St Vincent’s Hospital on November 9, 1953. The tour guide will be New York City guide and Welshman Ianto Roberts and the tour will include readings of some of Dylan’s work. Accompanying the tour will be Professor Peter Stead – author and broadcaster and Chair of the Dylan Thomas Prize. 6.30 – 8.00 Private concert by Only Men Aloud! followed by a reception and viewing of the Dylan Thomas manuscripts for clients and guests of the Welsh Assembly Government, Visit Wales, International Business Wales, and the Morgan Library at, the Morgan Library and Museum, New York. By invitation only. From March 1st through the 7th, everyone's invited to a series of rare and entertaining Welsh experiences during Wales Week USA. Wales Week, presented by the Welsh Assembly Government, is an opportunity to visit the culture-rich country of Wales without leaving Manhattan. 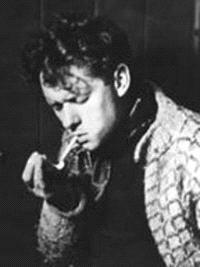 Some events taking place this week include: Through 3/7 - Dylan Thomas at the Morgan Library - Rare Dylan Thomas letters and photos including drafts of an untitled poem beginning "Too proud to die, Broken and Blind he died," which Thomas sent to the recipient the day before he died. Admission to The Morgan is $12 for adults; free on Friday from 7pm to 9pm. The Morgan is also celebrating Wales Week by offering Welsh afternoon tea each day including Welsh cakes, Welsh Rarebit and Glengettie Tea in the Morgan Cafe. 3/6 - It's Alec Templeton Time! - Born in Wales, the blind composer-pianist Alec Templeton was brought to America by the bandleader Jack Hylton in the mid-1930s. Templeton soon had his own weekly radio show 'Alec Templeton Time' and then toured widely in America, earning himself a personal star on the Hollywood Walk of Fame. This show combines archive film footage, broadcasts, and recordings with superb live performances of Templeton's classical, jazz and blues compositions from acclaimed pianist Simon Crawford-Phillips Free entry; no reservations required. 3/6 - Music Masters of Wales - Voted Britain's seventh best composer of all times by listeners to Classic FM Radio, Karl Jenkins will conduct the US premiere of his Euphonium Concerto with internationally renowned fellow Welshman David Childs performing on the euphonium. The concert will also include Jenkins's Sacred Songs and the premiere of Dewi Sant (St. David) by Arwel Hughes. 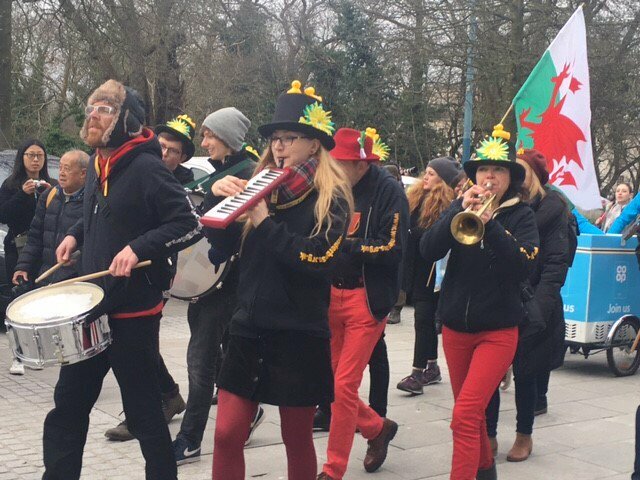 Wales Week USA is an annual festival held mainly in New York City around St David's Day, the national holiday of Wales (1 March). The week-long event celebrates modern Wales, focusing in particular on the arts, food and drink, sport, academia and business. The festival also aims to promote the Welsh in America and the contribution they have made to the country. In 2008, Wales Week will run from February 22 to March 1. Supported by 网站设计. Picture Window theme. Powered by Blogger.